I am so pleased to be a part of this celebration to launch this new independent publisher Copy Press. 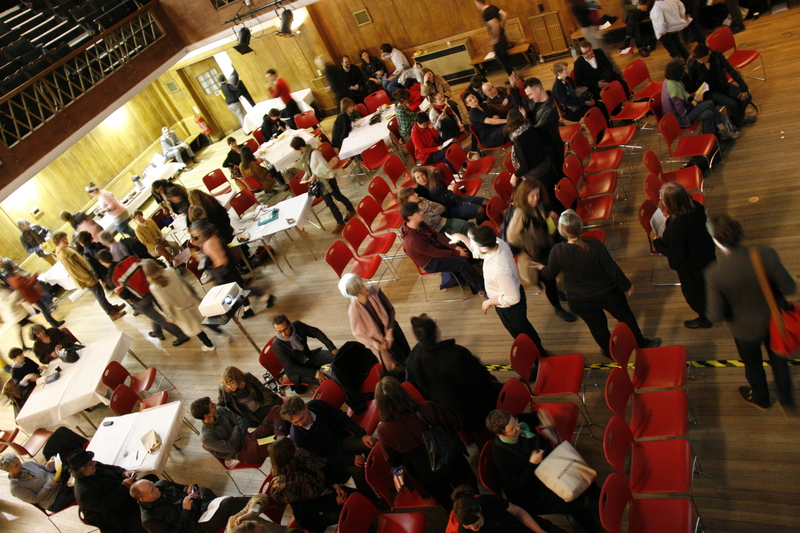 And you have chosen the perfect venue for it – Conway Hall the forum for free independent thinking and radical alternatives. When I started out in publishing back in the 1970s, radical, visionary independent publishing was in a healthy state, seen by publishing in general to be a good thing. Independent publishers were putting out books discussing things that mainstream publishing – commercially driven – was not discussing and they were a seedbed of radical new ideas and forms of writing in a respected tradition. I was proud and happy to be part of this. Independence is still a part of the publishing landscape but it is no longer synonymous with sharing radically dangerous thoughts with a community of readers, producing books as free as possible of the profit motive, and possessing the material pleasure of something that can be carried around in bags and coat pockets. Independence today tends to mean self-publishing as an individualistic activity. That involves an often isolated author, the distancing from the senses of digitalisation, and follows consumerism and commercial imperatives as much as the mainstream does. So for me Copy Press is a wonderful thing for the 21st century – a truly radical, truly independent publisher in the best traditions of independent publishing. • I am sure that how this new radical independent pursues its business follows firmly in the footsteps of its predecessors, as Copy Press describes itself beautifully – ‘it is a commune of talents and skills that comes together for as long as it takes’. • My experience back then was that we discussed and argued, consumed one another’s time for as long as it took, exploited skills and talents for nothing more than common intent, tested our tempers and tolerance to the edge, but shared our aims, had the time of our lives, and were as one in all the important things. I hope Copy Press will have all of that. • For a passionate believer in independent publishing, Copy Press promises radical independence. These books are free agents that seem to contain voices that converse, speaking radical ideas to one another. And Copy Press appears to be a community of books and writers and creative artists, sharing their best work with a community of readers. • And may the books published and the community of readers both grow in a dynamic way that has nothing to do with stack them and sell them. • I think Copy Press has delectable promise. The words you use to describe publisher and books are themselves pleasurable: Paraclete, the Common Intellectual, book titles like Wednesday Afternoon or Days of Surrender or just, simply the delicious word Paris.